Family vacations in Phuket are fun! But lets be honest if you don't get the planning "Just Right" it can be frustrating not just for Mum and Dad but for the KIDs too. Family holidays create priceless memories that last a life time and to help you create those memories we have added some tips to help make it easier to choose the best resort for your family vacation in Phuket. Prior to booking your accommodation there are few things you can do to ensure that your family vacation in Phuket is memorable for the whole family. 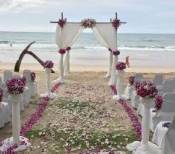 Apart from selecting the perfect resort for your family vacation, you first need to consider the location. 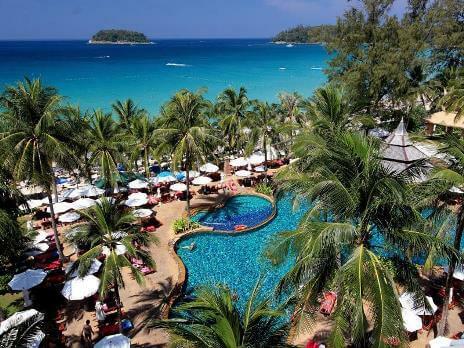 The location is very important as some areas of Phuket are much better suited for babies and toddlers, whilst the same location may not have enough to offer teenagers. After you have selected the location the most important decision you and your family will have to make is to choose the resort that will suit the needs of your family. You need to consider if your family would prefer to stay directly on the beach in a beachfront resort, or would you prefer to stay somewhere closer to all the action. The age of your kids will play a big part in deciding where to stay and what fun activities you want to do as a family. Families who travel with babies and very young toddlers will require facilities and services, such as cots and babysitting. Other families with young kids may like facilities in their hotel to include a good kids club with lots of fun activities and programs available to keep the kids from getting bored. Then there are families, who are traveling with teenage kids. 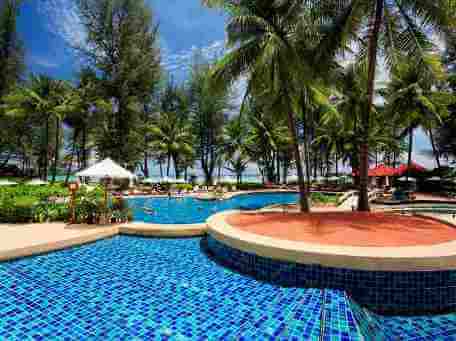 Phuket is an ideal spot for a family holiday as there is a great range of family friendly hotels located all around the island. These hotels not only offer spacious family friendly accommodation, they also offer a variety of services and programs for kids, and believe it or not some of these services are free of charge. If you have decided that you would like to stay in Patong, one of our personal favourites and a popular choice for families; is the Holiday Inn which is located directly opposite Patong Beach. 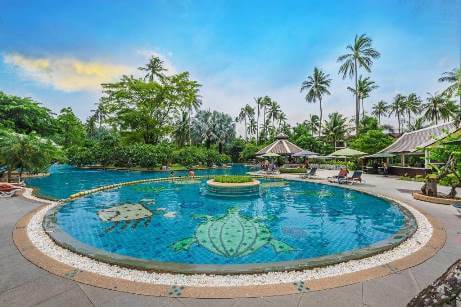 However, this is just one of many family friendly hotels in Phuket that offer good value for money. Throughout this page we will show you some of the best family friendly hotels that we have found while holidaying with our kids, offering great value for money and situated in the best locations with lots of activities for the kids to enjoy. 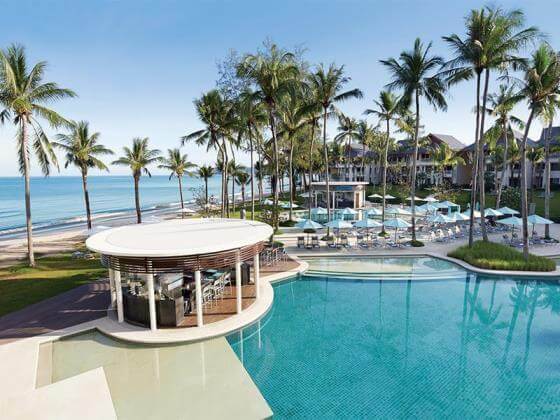 JW Marriott Resort at Mai Khao Beach is perfect for a family getaway, the resort has a great selection of activities for kids of all ages. The little ones will love the kid’s pool and water-slide as well as the two Kids Zones, one for the younger children and the other for teenagers with activities to suit each age group. Check rates & read more about the resort on Agoda. Splash Beach Resort would have to be on the top of any child’s wish list. The resort features a range of rooms and family friendly pool villas as well as access to the adjoining Splash water park. The beachfront resort also has a kids club and a games room for the older kids. Check rate & read more on Agoda. The Outrigger Laguna Beach Resort – is perfect for family vacations, the kids will love the Kids Club which offers fully supervised entertainment areas. The resort also has a dedicated kid’s pool and a swimming pool with a water slide. Snooker tables and table tennis are also available in the games room. Read our full review here. The Dusit Thani Laguna Beach resort really knows how to host family vacations not only do they have daily activities they also have a really good kids club, playground, games room and special menus for the kids. Read our full review here. 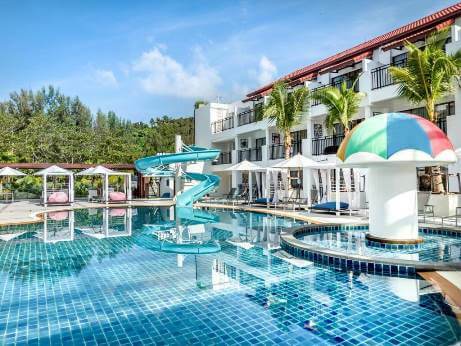 The Sunwing Resort and Spa at Bang Tao beach is excellent and possibly one of the best family friendly beachfront resorts in Phuket, with a choice of swimming pools, water slides, and host of fun activities on offer to keep the kids entertained throughout your stay. Check rates and read more about the resort on Agoda. 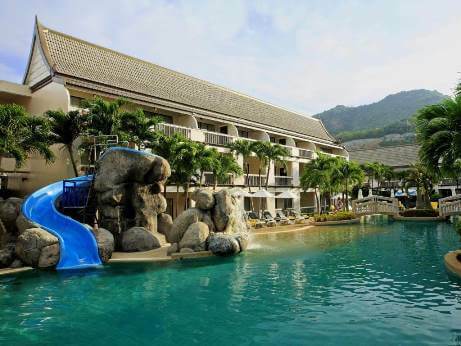 Phuket Graceland Resort in Patong has long been the preferred choice for many family vacations in Phuket. The resort has loads of activities for kids of all ages including its very own ten pin bowling alley, snooker tables and an excellent kids club offering a range of fun activities for them to enjoy. Check rates and availability on Agoda. The Patong Merlin has a good kids club for kids 5 to 12 years of age. The kids can enjoy a range of daily activities including water painting, card making and all sorts of fun activities. There is four swimming pools plus 2 kids pools. Read our full review here. 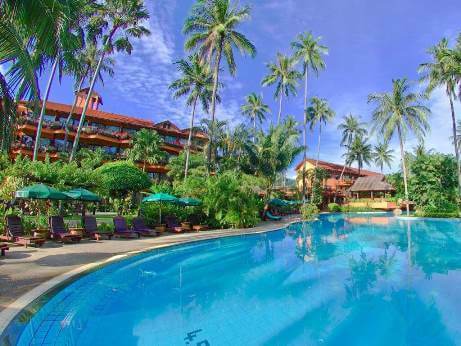 The Duangitt Resort is a great choice for those staying in Patong, especially if you have kids that need lots of space to run around. The resort has a kids club, three swimming pools with each pool having an adjoining kid’s pool. 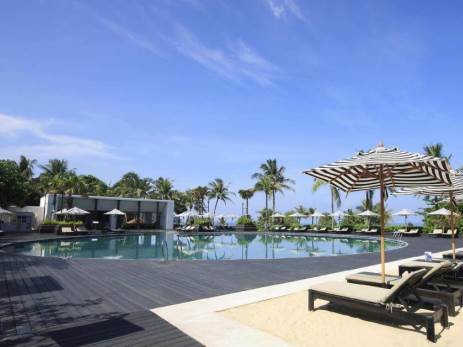 Check rates and read more about this expansive resort on Agoda. 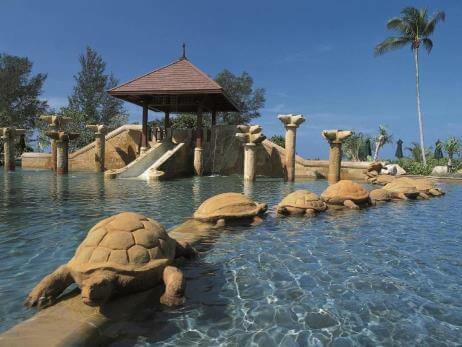 The Horizon Karon Beach Resort has a very good kids club for kids aged between 4 -12 years of age. It has three swimming pools and a separate babies pool for the little ones. The resort also has a games room with snooker tables, table tennis and computer games for the older kids. See our full review here. 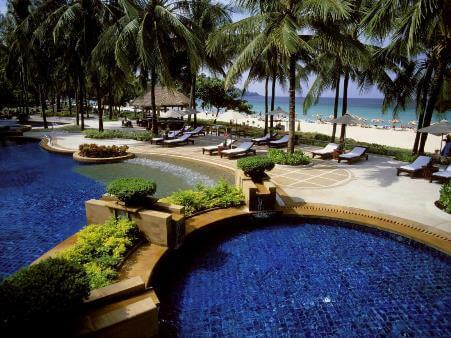 The Centara Grand Beach Resort at Karon is one of the best resorts for family vacations in Phuket. Not only is the resort beachfront it has great facilities for kids including four swimming pools, a children’s pool and a fantastic water park with waterfalls, water-slides and a lazy river ride. If that’s not enough to keep the kids happy there is also a playground and a kids club for the little ones plus an area for the older kids. Check rates & availability on Agoda. 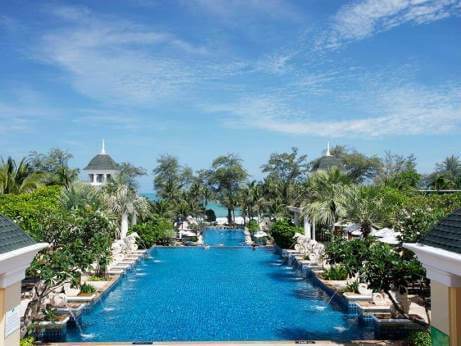 The Hilton Phuket Arcadia Resort at Karon Beach is another top spot for family vacations in Phuket. The resort caters well for kids with 5 swimming pools, 2 water slides and a fantastic kids club. Check rates & read more on Agoda. 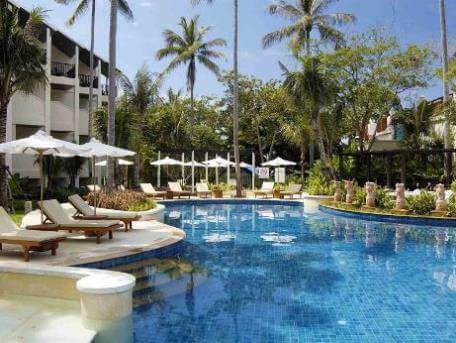 The Novotel Phuket Karon Beach Resort is fantastic for family vacations. The resort is very kiddie friendly, the kid’s club has loads of fun activities and they will love the swimming pools and water slide. Read our full review here. 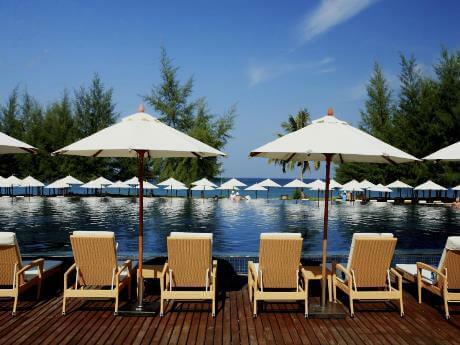 Beyond Resort Kata is a top spot for a family vacation in Phuket as the resort sits directly on the beach. The resort has a large swimming pool adjoining a small shallow pool for the little ones. There is a kids club, however this resort is better suited for families travelling with older kids, who want to be out and about enjoying the pool or the beach. Read our full review here. 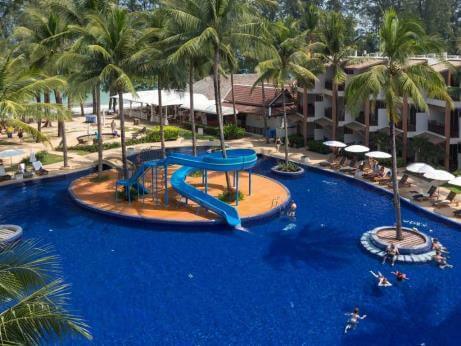 The Centara Kata Resort is a good family friendly resort with 3 swimming pools, a kid’s pool with a water-slide, games room and a kids club with loads of activities to keep the kids entertained. 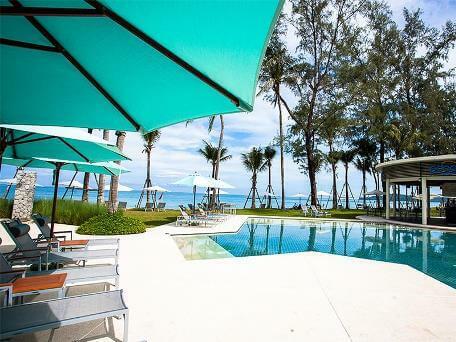 The resort has a good mix of family rooms and suites to suit your family vacations in Phuket. 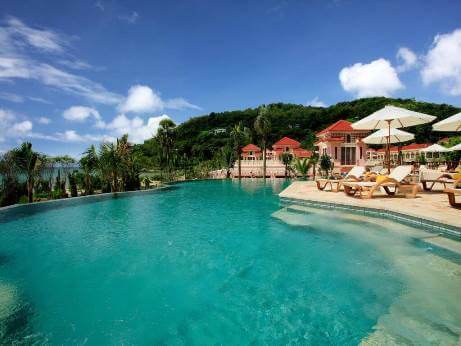 Read more about this resort on Agoda. The Katathani Beach Resort is a fantastic family resort, located at Kata Noi with 6 swimming pools, four kid’s pools and a water park. The kids club provides lots of fun activities for kids aged 4-12 years of age and the resort provides menus just for the kids. Read our full review here. If you prefer you could also look at making your stay just that little more special away from the crowds by staying in a private vacation rental in Phuket, that can accommodate the whole family or group of friends and their families. 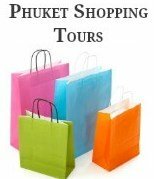 Phuket is a great destination for family vacations, an ideal spot for relaxing and enjoying fun filled holidays with the family. And the best part is that there is always lots of fun things to see and do that the whole family can enjoy.